Necessity is the mother of all invention. If this quotation is correct, then the mobility and portability of computer systems were the needs that lead to the invention of the laptop. With some astounding technological breakthroughs, we have managed to make these laptops lighter and more power packed every year. These devices came in sleek and elegant designs with screens of about 14 inches and fitted with solid state drives and powerhouse processors that can pack a punch. 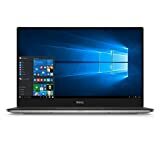 The Dell XPS 13-9350 is a high-performance laptop powered with a Core i5-6200U 2.30 GHz processor with Intel Turbo Boost Technology up to 2.80 GHz. The device combines a winning combination of sleek and graceful design, high-performance standards, excellent comfort and quality battery life. It includes an 8GB LPDDR3 1866 MHz memory and a 128 GB solid state drive. A great feature of the XPS 13-9350 is the brilliant infinity display which has virtually no borders around the screen, giving it a larger screen size than other similar sized laptops. The outer body of the device is built with machined aluminum, giving it a durable body. However, the inside focuses more towards comfort with a carbon fiber material giving it a nice feel. The XPS 13 also has one of the longest lasting battery lives we’ve seen on ultra-portable devices. Making it a complete all-around contender. This performance beast only weighs a meager 2.9 pounds making it easy to handle. The device is 12 inches in length, 7.9 inches wide and 0.3 inches so that you can store it in any travel bag. Tends to get pretty warm fairly quickly. The Apple MacBook is not just a powerhouse regarding performance, but it also combines it with an elegant design and a user-friendly experience. The 12-inch Apple laptop is the only device in our line-up that features the Mac OS-X which is perfect for individuals that aren't tech savvy. The MacBook MLHA2LL/A has a 1.1 GHz Dual-Core Intel Core M3 Processor with a Turbo Boost of up to 2.2 GHz. The memory is an 8 GB of 1866 MHz LPDDR3 that can handle most processing tasks with ease. As for storage needs, you can choose between 256 and 512 GB’s of solid state drive depending on your personal needs. The built-in Lithium polymer battery will easily give you about 9 hours of undisrupted wireless use. The 12-inch Retina display is one of the best features of this device. The 2304x 1440-pixel resolution gives the screen a high pixel per inch density which makes for an impressive visual experience. The MacBook weighs about 3.2 pounds and is 8.7 inches in length, 12.1 inches in width and about 2 inches in height. The compact size of the device allows easy handling and storage. The retina display provides a great visual experience. Quite pricey when compared to other laptops with similar specifications. 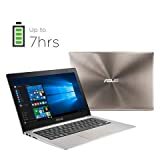 Asus Zenbooks are known for combining impressive design with some potent hardware that fulfills every computational need that you may have. The sleek and slim aluminum body have a stunning 13.3-inch screen. 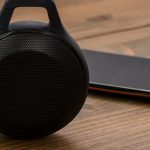 The whole device only weighs 2.9 pounds and is one of the best devices for any individual that seeks portability and mobility in their laptop. The screen is a spectacular FHD display that you can stare at for extended periods of time and still not get tired. Moving further towards hardware specs, the Asus ZenBook UX305UA comes with an 8 GB RAM a high-performance Intel Core i5 processor (6th generation). Regarding storage, the device has a 256 GB solid state drive that allows for high-speed data transfer. To top it all off, this Asus powerhouse gives an impressive 10 hours of battery life which is more than ample for on the go usage. The laptop is 18.5 inches in length, 11.7 inches in width, and about 3.6 inches in height. These dimensions make it one of the larger ultra-portable books in our line-up. The Surface Pro 4 is without a doubt one of the best 2 in 1 convertible devices in the market. The Microsoft tablet laptop works with an Intel Core i7 3.4GHz processor. You can choose between 8 or 16 GB's of memory depending on your needs and what you can afford. Regarding storage, you again have a choice between 256, 512 GBs or a full 1 TB. The storage is an SSD so you can expect faster read and write speeds than hard disk drives. The vivid and crisp 12.3-inch display have a screen resolution of 2736 x1824 pixels that make for an astounding visual experience. The Surface Pro has a similar design to its former Surface Pro models. 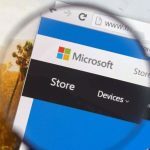 Purely considering design, like a laptop, the Surface Pro has an elegant and modernistic design but, as a tablet, it is bulkier than some of the tablets that its competing tablets in the market. An important aspect of the Surface Pro is its accessories, namely, the keypad and the surface pen. The keypad, being a bit awkward in former surface pros, is a lot more comfortable. The Surface Pen as well has received more than a few upgrades. It is four times as sensitive as its predecessors and also includes an actual eraser now. The Surface Pro weighs about 3.5 pounds and is 15.17 inches in length, 9.21 inches in width and 1.58 inches in height. The lightweight and compact dimensions lead to the Surface Pro being a great portable device that is just a pleasure to use on the road. A sharp- vibrant touch display. Type cover not included with the product. The Samsung NP900X3L-K06US Notebook is a powerful piece of machinery that can keep up with most processing intensive demands with ease. At the same time, it also has an elegant and slim design, which is aesthetically appealing. The laptop features a 6th generation Intel Core i5 processor and an 8 GB memory. It also features a 256 GB solid state drive. The laptop weighs only 1.9 pounds which is the lightest laptop in this list. It is 12.35 inches in length, 8.6 inches wide and 0.53 inches in height. It is truly a design marvel. The Samsung netbook boasts a 13.3 inch full HD screen with a resolution of 1920 x 1080 pixels which makes for some great graphic experience. The Lenovo ThinkPads are a tried and tested brand of laptops, especially for office use. The ThinkPad X1 Carbon is no different as it makes no compromises on either portability or comfort. The ThinkPad packs an Intel Core i5-6300U processor and about 8 GB’s of memory space. 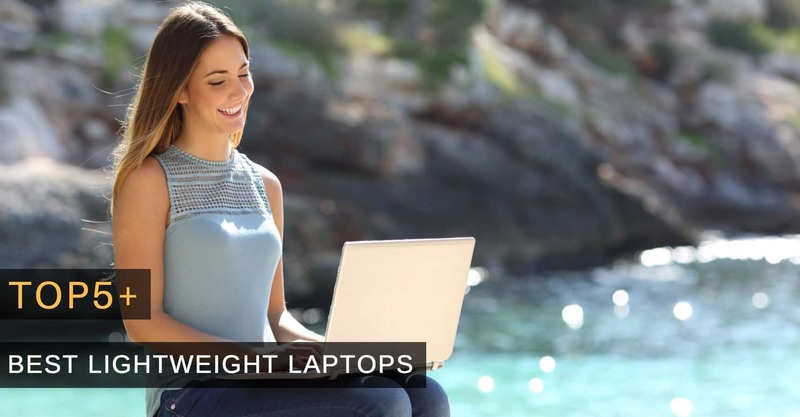 The ultra-slim laptop is very easy to carry around weighing just a mere 2.6 pounds. Moving on, the laptop has a 256 GB solid state drive for fast data transfer. 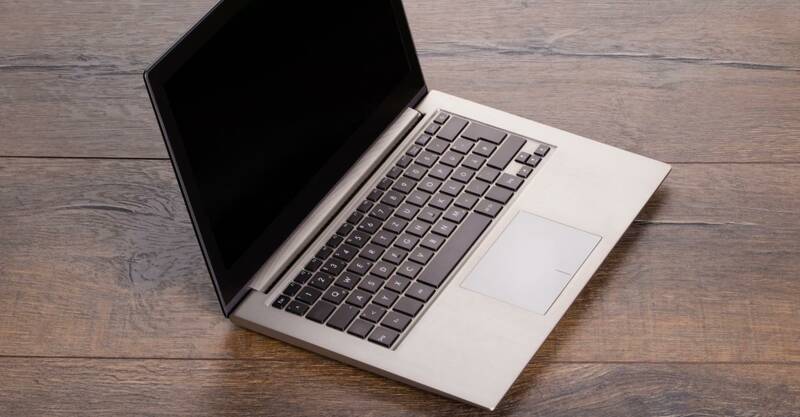 Built with a carbon fiber reinforced plastic and a super magnesium body, the laptop is built to withstand the roughest users. It also boasts a 14-inch FHD display with anti-glare. The full sized keyboard is back-lit as well as spill resistant. The device is 13.11 inches in length, 9.01 inches wide and with a height of 0.65 inches. The ThinkPad X1 is a sleek and slim machine that provides a great experience and is very easy to carry around. The Spectre is a world class laptop that pushes boundaries on portability while refusing to compromise on performance. HP’s Spectre is the thinnest laptop in the world with a 0.41-inch thickness and weighs only 2.24 pounds. But its sleekness isn’t all that’s special about it. The laptop comes with a 2.5-GHz Intel Core i7-6500U CPU with an 8 GB DDR3 memory and a 256 GB solid state drive for storage. The chassis is made of CNC cut aluminum with a carbon fiber underside. The carbon fiber underside prevents the laptop from overheating quickly and still cannot be detected easily. Performance wise the Spectre’s core i7 chip puts a spring it’s every step and even allows for some light gaming. Talking about battery life, the company claims that the Spectre can give about 9 to 10 hours of use, but all we found was about 6 hours at most. Moving on to the display, the device has a 13-inch FHD display with a 2560 x 1440 pixel resolution that can challenge most lightweight laptops with ease. Their compact handiness makes them ideally suited for users that are constantly on the go. The primary purpose of these lightweight devices is unhindered portability. Constant connection to a power outlet is not an option on the road. Therefore, an indecent battery life just defeats the purpose of these devices i.e. pure mobility. The best lightweight laptops, for this reason, offer quality battery life. Another thing to keep in mind is that some of these laptops come with USB charging ports. This can come in handy as it will allow you to charge your device on the go. All you need is a battery pack that you can easily carry around wherever you go. Lightweight laptops are, unsurprisingly, smaller in dimensions than other laptops. This makes them easier to carry around. The smaller size consequently, results in smaller screen sizes as well as keyboard sizes. This leads to most of these devices not having a full keyboard. While this may cause a problem for a lot of people, some do get used to it. Even then you could still face problems if you have relatively large hands. Keyboard size thereby matters a great deal when considering one of these devices. Storage is a critical aspect if you intend to work with lots of multimedia files. A decent amount of storage space goes a long way on any device. 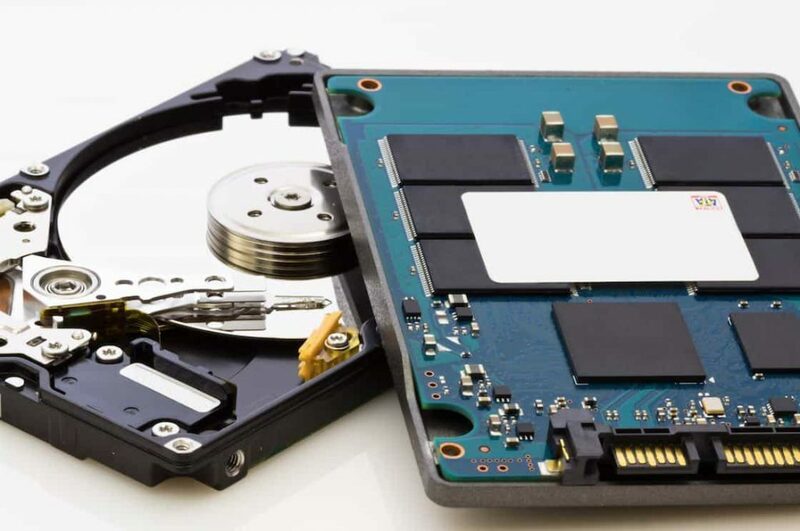 Solid state devices are recommended over hard disk drives, as they give a much quicker read/write time. On the other hand, if you’re going to be dealing with text documents, depending on your need, you could sacrifice a larger storage for other specs. On the use also means the laptop will be at a lot more risk of damage, as well as the risk of it being lost or stolen. For this reason, you might want to avoid some of the expensive options, and we realize that. Therefore affordability and durability are critical points. The processor is the heart of any computer. Lightweight laptops should only be light in weight and size, not in processing power. Therefore, the processor of your device needs to up to standards for you to work efficiently. The operating system is significantly important for people that have a strong partiality towards a particular OS. They can also be important if you put into consideration any specific types of applications that you will use. You should make sure that the device you like will be able to run those particular applications. The world of ultra-portable devices is an arms race among brands where there is simply no room for losers. These devices are small but here small does not mean cheap. They represent the most basic functionality of laptops i.e. mobility. With its MacBook Air Retina, laptop changed the game of laptop manufacturing by bringing back relevance to portability. We have, undoubtedly, come a long way since in that regard.